Busy days call for quick meals and rainy days for comfort food. And on days that are both – dinner calls for chicken mushroom pasta in a spicy tomato sauce. This is one of the easiest and yummiest pasta dishes I’ve made and is ready in 30 minutes or so. Cook pasta until al-dente; about 11- 13 minutes. In a food processor, blend the tomatoes, tomato paste, red pepper, red chillies, coriander, oregano and garlic. Add a dash of water and combine well. In a large saucepan, add 2 tablespoons on oil (olive/ sunflower) and add onions, chicken, mushrooms and chilli flakes, if using. Add the tomato mix and heavy cream and cook, until thickened. Season with salt. Once, the sauce has thickened, add the cheese and mix well. Add the cooked pasta into the sauce and combine. Remove off heat and serve. 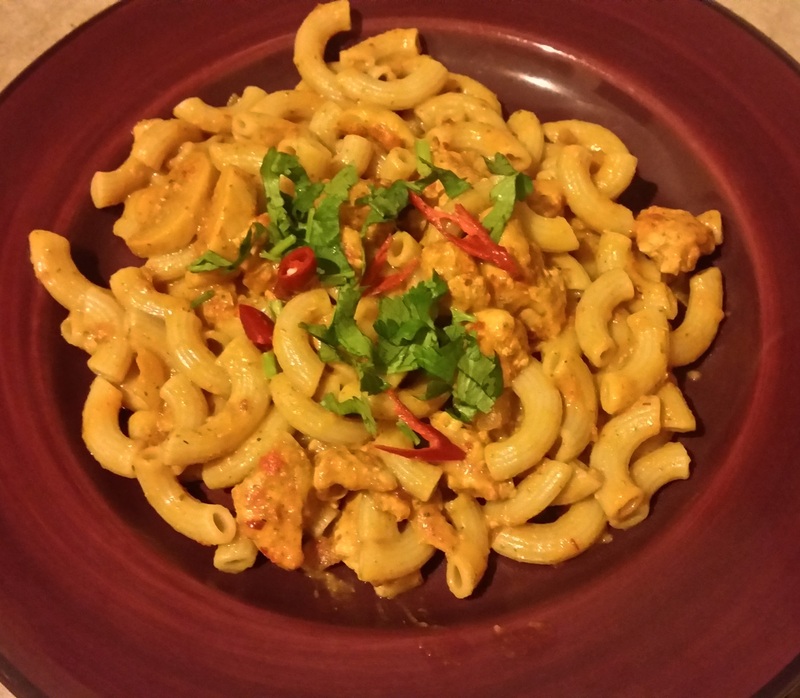 I served pasta with finely sliced red chillies and chopped coriander.